ReadManna, the organizer of the Microsoft Office Specialist World Championship for Students is challenging everyone to beat the scores of the 2016 National Winners. The national winners emerged after a keenly competed championship in Microsoft Word, Excel and PowerPoint (versions 2010 and 2013) amongst students from 22 secondary schools nationwide. The championship challenges students to demonstrate their knowledge, skills and abilities to productively use Microsoft Office, the leading IT certification in the world. Successful individuals earn the globally recognised Microsoft Office credential instantly that adds value to their CVs. The following six students emerged as the national winners for the 2016 MOS World Championship for Students in Nigeria. PowerPoint 2013 – Katherine Eta, The Childville School, Ogudu, Lagos – 1000/1000 (Time Taken 20min 32sec) – Beat the time taken! We invite everyone to the Palms Shopping Mall, Lekki, Lagos between 1st to 31st August 2016 to take a Microsoft test in any of the above programs. 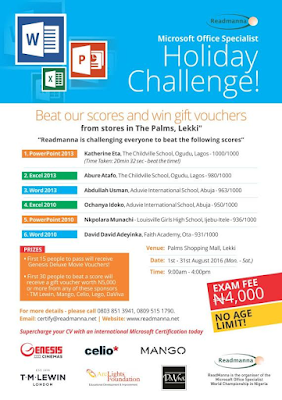 Beat our score and win prizes from stores in The Palms Shopping mall, Lekki! The first 15 to pass the test will receive a free Genesis Deluxe Movie ticket! The first 30 to beat any score will receive a gift voucher worth N5,000 or more from any of our sponsors - TM Lewin, Mango, Celio, Lego and DaViva! Offer is limited to the number of gift vouchers provided by sponsors. Supercharge your CV with an international Microsoft Certification instantly! Hurry Now! 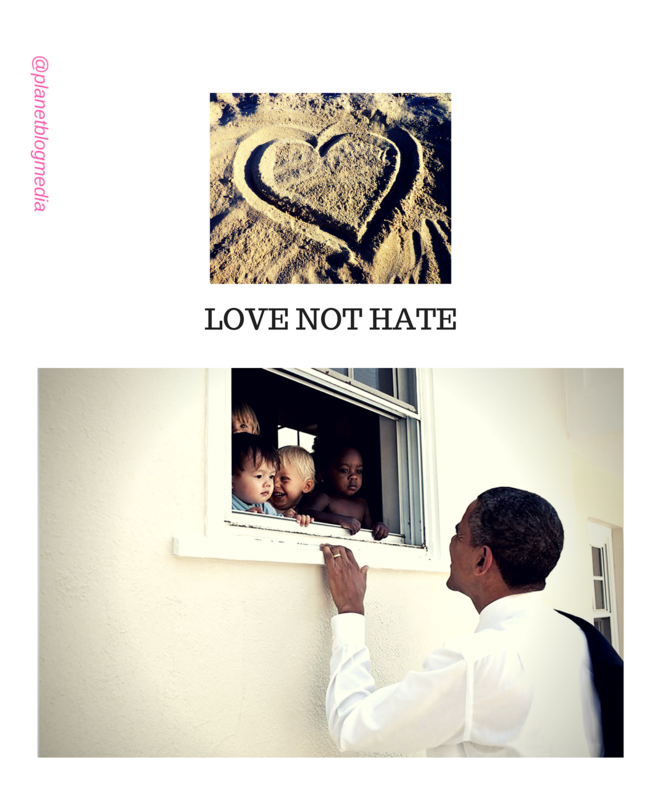 Visit our website www.readmanna.net for more details. Call 0803 851 3941 or 0809 515 1790.